Choose an option(SYL-106-NP) up to 1.5cm / 1/2"(SYL-206-NP) up to 2.5cm/ 1"(SYL-309-NP) up to 5.0cm / 2"(SYL-412-NP) up to 10cm / 4"(SYL-616-NP) up to 15cm / 6"(SYL-633-NP) up to 30cm / 12"(SYL-866-NP) up to 60cm / 24"
WRAS Approved SylWrap Pipe Repair Kit is designed for pipe repairs where flow CAN BE isolated on pipes made from steel, stainless steel, copper, malleable iron, GRP, ceramic, clay, concrete, rubber and most plastics. It resists pressure up to 30bar and temperatures of over 200ºC. 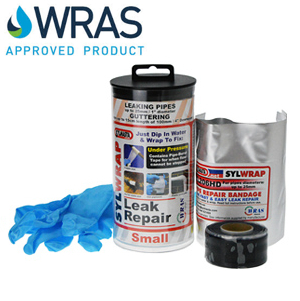 SylWrap Pipe Repair kit is easy to use and pipes can be returned to service in 30 minutes. It can be used on pipes carrying hot and cold water, as well as pipelines containing chemicals. 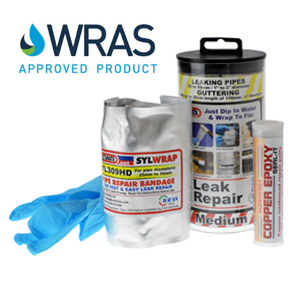 Simply turn off the flow, plug the leak with the Superfast Copper Epoxy Putty and wrap with the SylWrap composite bandages for a fast, effective, permanent repair to pinholes, cracks and leaking joints. 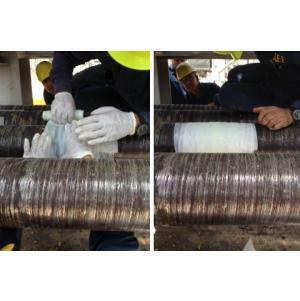 If flow cannot be turned off please use the SylWrap Under Pressure Pipe Repair Kit. 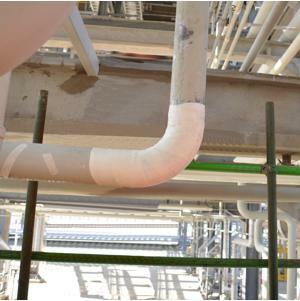 SylWrap Pipe Repair Products are used by well-known companies around the world for repairs to desalination plants, pipelines carrying water, waste waste treatment works, nuclear power stations, pumping stations, petrochemical plants, quarry wash plants, freight ships, dry risers, and domestic plumbing. (SYL-106-NP) up to 1.5cm / 1/2", (SYL-206-NP) up to 2.5cm/ 1", (SYL-309-NP) up to 5.0cm / 2", (SYL-412-NP) up to 10cm / 4", (SYL-616-NP) up to 15cm / 6", (SYL-633-NP) up to 30cm / 12", (SYL-866-NP) up to 60cm / 24"